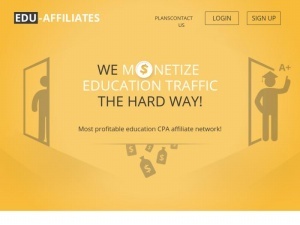 Описание: Edu-Affiliates.com — High-Paying Affiliate Program Converting Student Traffic! On the other hand, webmasters get a lot of rebills and high commissions, because we have the highest average order price on the market — $130. Let’s say you decided to work with us and got your traffic sources ready to go. To begin with, we’ll assume you send us 300 unique visitors per day. Keywords — good targeted keywords. Based on this the conversion rate would be 3.5-4%. Let’s take 3.5% a minimum. 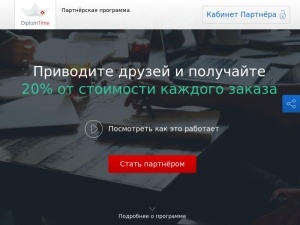 Thus you will get an average of 10 NEW clients per day, or 300 NEW clients per month. Next we will count your prospective earnings for 1 month (30 days). And don’t forget about re-bills — your passive income! And that’s your profit for only 1 month! Thus you don’t have to worry about shaving or other tricks we never do. The only thing you have to do — drive traffic.